Interviews with Empower PLM customers highlighting key process improvements due to automated engineering change and BOM management processes, CAD tool integration, document control, single engineering change and quality control system, and ERP integration. 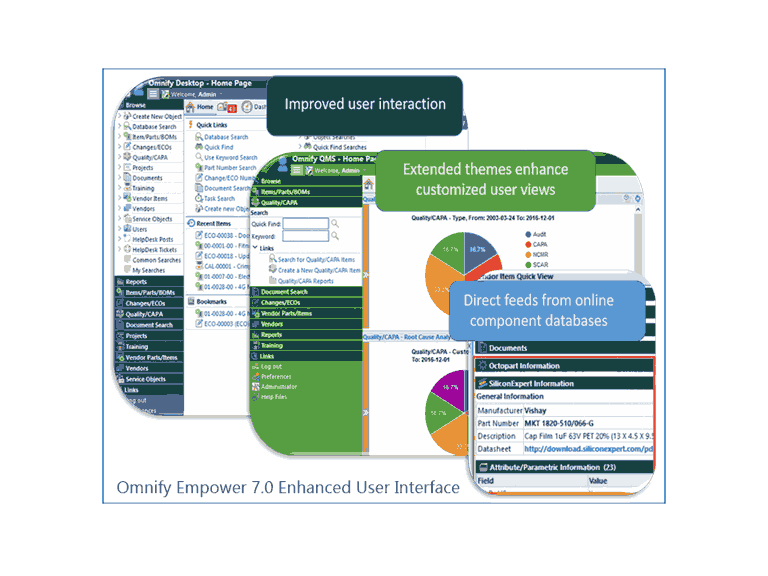 Empower PLM, an Arena Solutions product, helps to streamline the flow of product information among design and manufacturing teams by providing a single location to track and manage product information as well as enable vital design data and documentation to be shared securely by all product development team members. Empower PLM is designed to manage all product content information such as: Bill of Materials (BOMs), component attributes, design drawings, datasheets, and vendor (Manufacturer & Supplier) information. It facilitates and automates requesting, tracking and executing changes on product information and supplies electronic processing of new part requests and engineering changes/ECOs to improve communication and eliminate redundant data entry. The ease of use, fast implementation and cost-effective price of the Empower PLM solution make it ideal for small to mid-tier manufacturers yet it is scalable to meet the needs of larger enterprises. Empower is built on a web-based technology platform and allows customers to choose an on-premises or hosted deployment. In addition, our open integration platform offers easy integration with engineering (EDA/CAD) and business environments (ERP/MRP/CRM) for quick adoption without interruption to existing processes.